Over the last few posts I've been discussing some winter essentials, and today I'll be focusing on fixing up the issues that winter can cause to your hair and scalp. Dry hair and a flaky scalp can be aggravated by the cold weather, so checking out products that can help to counter these problems are generally a good idea at this time of year. AA Skincare is a brand I've reviewed on the blog before (see AA Skincare posts), but today I shall be discussing one of their many Shampoo Bars, the AA Skincare Twilight Shampoo Bar. 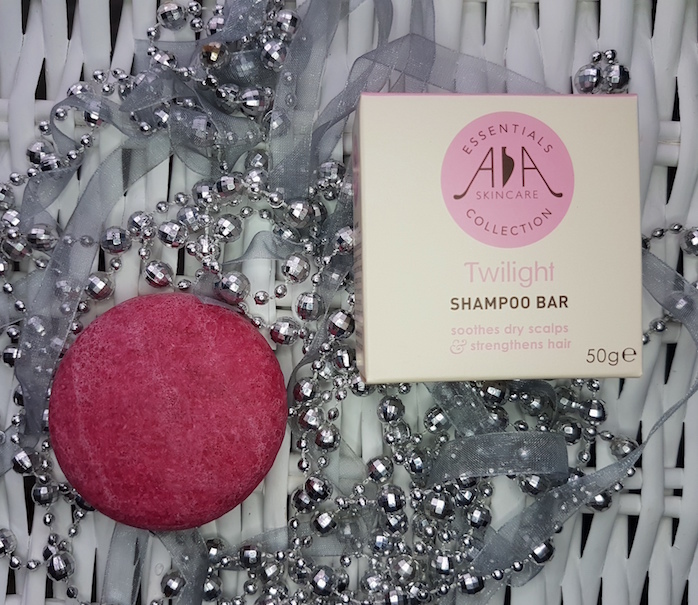 The bar is designed to "soothe dry scalps and strengthen hair". Like all other AA Skincare products, it is natural and free from animal testing. It contains peppermint oil to soothe, nettle extract to strengthen and coconut oil to moisturise. In addition, it contains clove and cinnamon oils to promote healthy hair growth. They also add a lovely, warming, winter scent to the bar which just makes it even more perfect for this time of year. 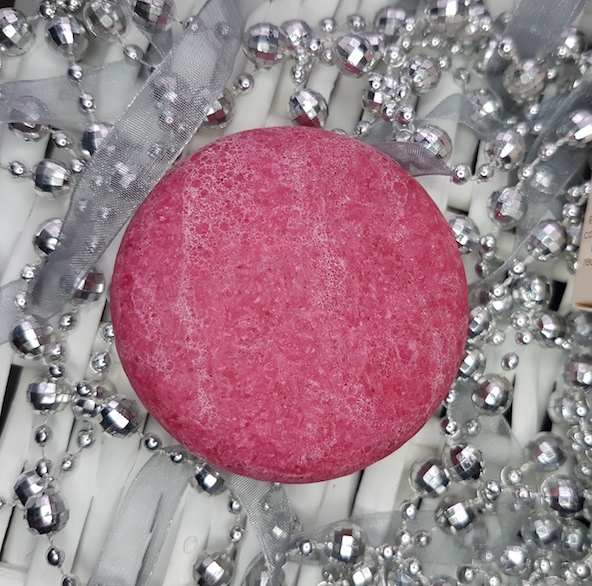 The bar itself is bright pink in colour and round in shape and is designed to last far longer than a regular bottle of shampoo would last. The bar then comes packaged in a small, off white coloured box that is handy to keep hold of to transport it in if you plan on taking your bar away to places with you. 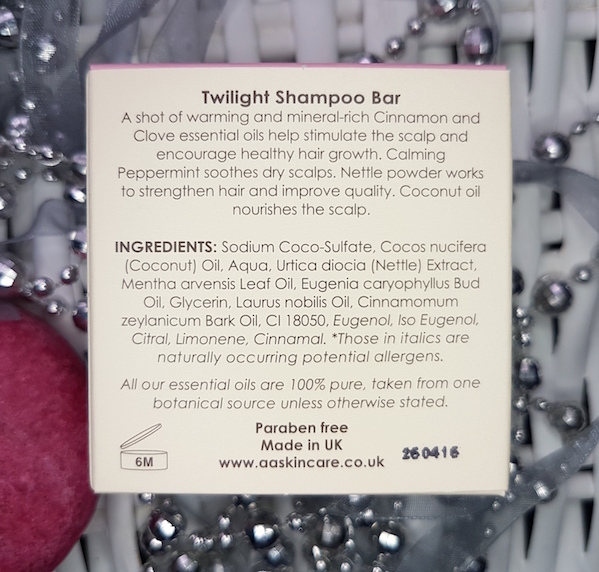 To use, you can wet the bar and run it between hands and then apply the lather to the hair, or rub the bar directly onto wet hair and massage in. Leave it on the hair for 2-3 minutes before rinsing. It is worth mentioning straight from the offset that a little goes a long way with this bar. It lathers up sooo well, if you apply too much you will have a bit of a lather volcano situation going on. Thanks to it lathering it up so well, you can see even from the very first use that one bar will last you a long time. 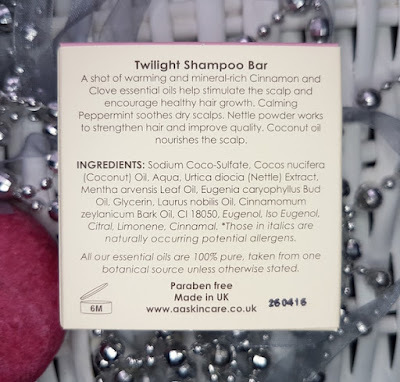 In fact, this isn't the first shampoo bar that I have used by AA Skincare, so I can vouch for the fact that a bar does really last far longer than a bottle of liquid shampoo. The experience of using it does change though. When you pick up the bar and smell it, you can really smell the clove in particular. It's so beautiful and strong. On first use, this smell appears when you're washing and the lather is slightly pink tinted. It's such a nice experience, but the more you use the bar, this doesn't happen anymore. It doesn't in any way affect the results or quality of the bar, but don't expect that beautiful clove scent to last for every single wash. It will stay on the bar, so you can always smell it on the bar, but it doesn't appear during the washing process. The foam does stay tinted a little pink, but not as much as the first couple of washes. Let's discuss the important part though: how well does it work? Well, I'm glad to say that it works well. I've been using this on both myself and my daughter and it has worked so well on both of us. It really helps to soothe the scalp and it leaves the hair feeling super soft and looking happy and healthy. It does take a few uses before you start to notice solid results but they do appear. The only downside I can think of to this shampoo is the mess it can make if you leave it on the side. You will need to keep it in a soap dish to avoid it making a mess, and when I say mess I mean a bright pink mess. Putting the bar down on a surface after use will leave a bright, vivid pink mark wherever you leave it, so please do keep that in mind! Overall though, I really recommend this shampoo bar. There are so many great things about it; it works well, it lasts a super long time, and you know what else? It is mega affordable. For the results and the length of time it lasts, you really get far more than your money's worth with this shampoo bar. I'm really impressed by it and it fits in so well with the AA Skincare ethos of providing top quality products at an affordable price. They can achieve this by cutting back on the amount of advertising they do, as I've explained in previous posts about the brand. You can grab hold of a bar of the AA Skincare Twilight Shampoo Bar from AA Skincare. 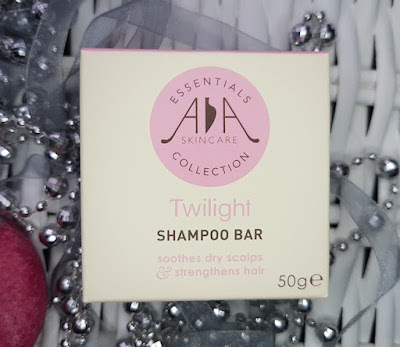 What are your thoughts on the AA Skincare Twilight Shampoo Bar? What's your favourite shampoo for winter?